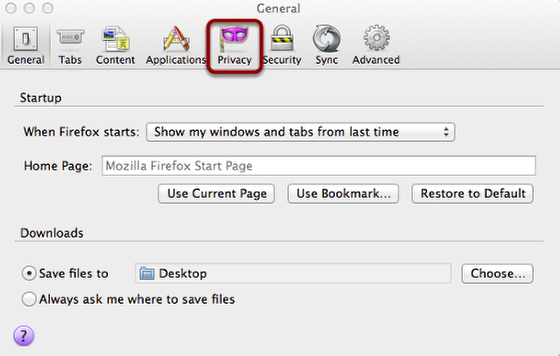 How do I clear my Firefox browser cache on a Mac? 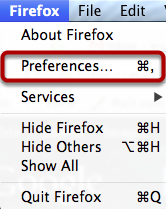 In the menu bar, click the Firefox option. Check the Cache checkbox. 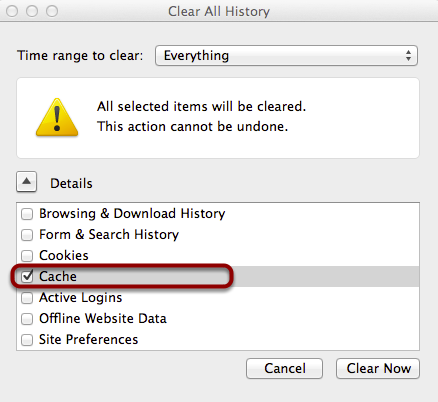 You can select check boxes for other browser information to clear as well. 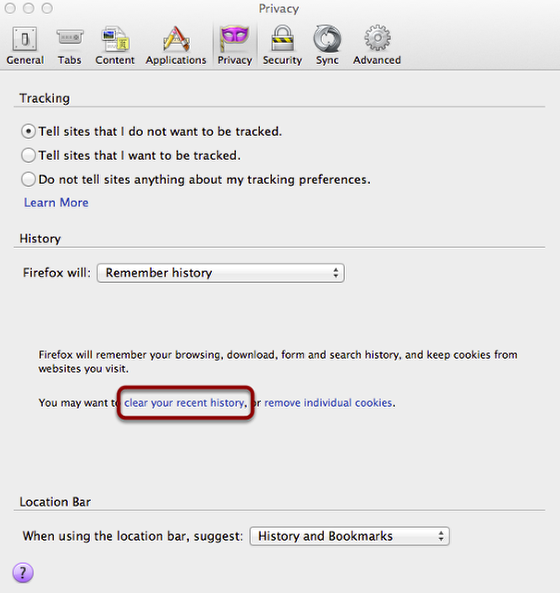 Once cleared, the Clear All History window will disappear and you will return to the main Firefox Preferences menu.